(Chris Detrick | The Salt Lake Tribune) The Utah Beer Festival takes place this weekend at the Utah State Fairpark. It will feature more than 50 brewers and 200 beers and ciders to sample. 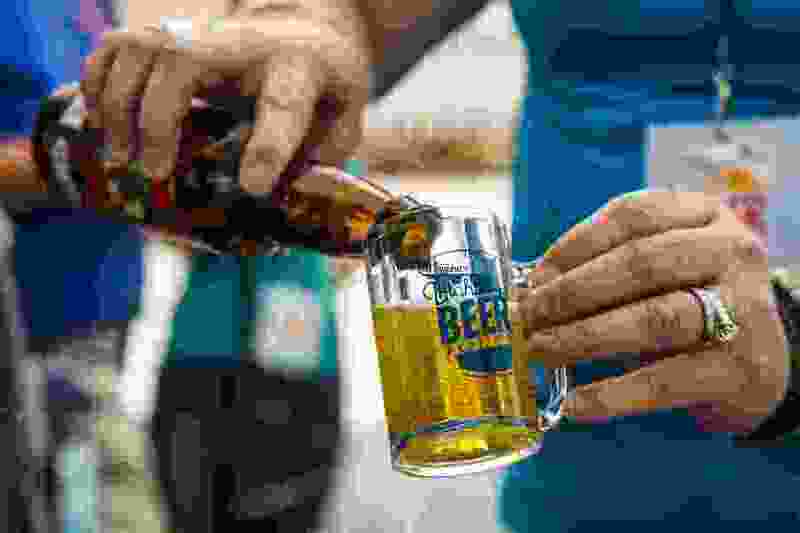 Utah’s largest beer festival — with more than 50 brewers and 200 beers and ciders to sample — takes place Saturday and Sunday at the Utah State Fairpark, 155 N. 1000 West, Salt Lake City. The Ninth Annual Utah Beer Festival, sponsored by Salt Lake City Weekly, runs both days from 2 to 8 p.m. Those who have purchased VIP tickets or early-entry passes may enter at 1 p.m.
One-day general admission starts at $10; weekend passes begin at $15; and a VIP pass is $45. Prices increase the day of the event. Tickets are available at www.utahbeerfestival.com. Admission includes a mug for sampling beer. All Utah Beer Festival tickets include free access to Utah Transit Authority buses, TRAX trains and FrontRunner. A designated-driver pass also is available starting at $5. In addition to beer, there will be live music, 15 food truck and food vendors, an outdoor recreation area, karaoke, a virtual reality experience and games.